Philip Pullman has called Lisa Williamson’s The Art of Being Normal ‘a life-changing and life-saving book,’ and this is just one of the reasons it became the bestselling young adult hardback debut of 2015, pulling in a nomination for the Carnegie Medal and being listed for five other awards that year. David and Leo, its two teenage protagonists, are both boys navigating their own rocky teenage terrain by attempting to be invisible. David harbours a secret: despite what everyone assumes, he isn’t gay, he’s attracted to the most popular boy in school because he’s a girl living inside a male body. Leo also has secrets; largely the result of his difficult background, and his friendship with David begins when he stands up for him on his first day at Eden Park School. The boys are all bravery and wit in the face of enmity and bigotry, and their friendship is both remarkable and unexpected. 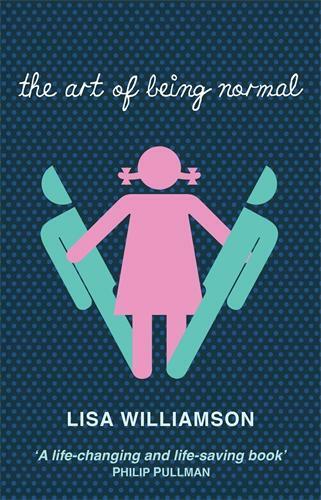 Though The Art of Being Normal has come under slight criticism by some for not being authored by a transgender writer, it is an important book that has great credibility, having been inspired by Williamson’s two years spent working as an administrator at the Gender Identity Development Service (GIDS) at London’s Tavistock Centre, which supports under-18s struggling with their gender identity. This book had me raving to my friends and colleagues for WEEKS. Finally, a book that addresses this issue in a respectful way with lovely characters which just make your heart melt.